This is Bikeshuttle’s motto, an English company that deals in the transport of motorbikes from UK to Switzerland, and vice-versa. At present a unique service in our Continent, which is well worth talking about. To this company we have dedicated the first of a series of dossiers, made exclusively for GIVI EXPLORER, to give visibility to tour operators, transport and hire companies, and other useful services for the bike tourer through a direct contact which goes beyond the typical information to be found on the official websites and brochures. 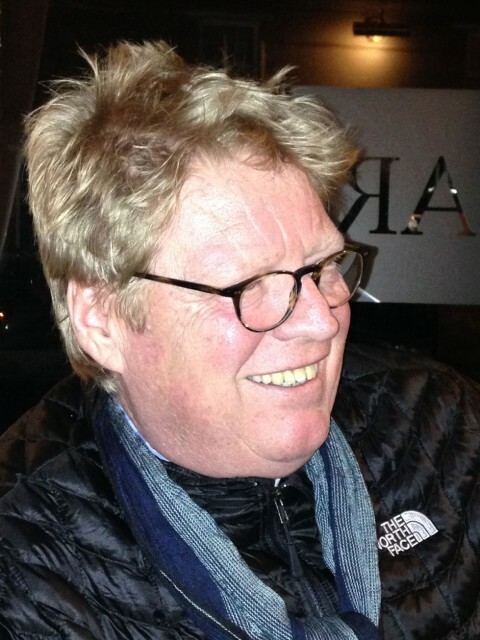 For Bikeshuttle we spoke with Declan Betts, one of the two owners. But lets start with an overview of this fantastic service. 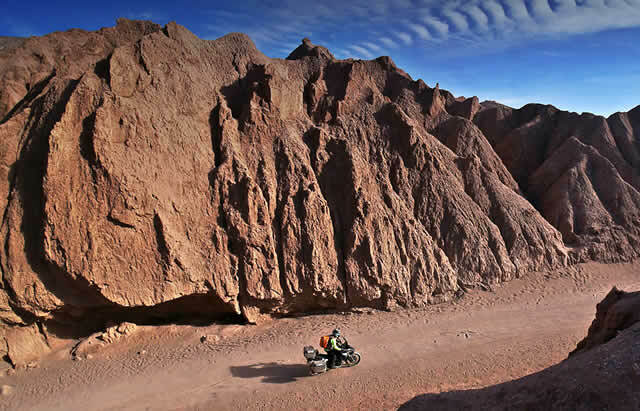 “Great adventures need many months spent in preparation and a lot of time to live them… Actually most motorbike tourers have usually between 10 and 20 days of holiday and must try and waste as little time as possible on boring transfers”. From this consideration we can all relate to Bikeshuttle came to life. Its job is to eliminate the idle time in a trip that, for example, from the north of Scotland has the Alps, or Croatia, or the South of France, or Italy, etc., as its destination. 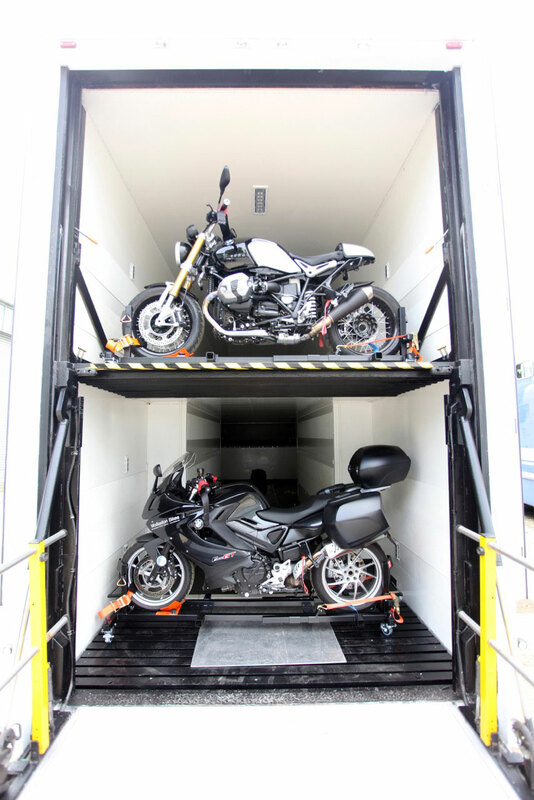 The company exclusively transports motorbikes and maxi scooters in a beautiful truck, along with all your equipment stored in big metal cases. A quality service that really makes the difference, especially as it has been created exclusively for bikers. Bikeshuttle è stata fondata da Declan Betts e Guy Buswell. Who had the idea of creating Bikeshuttle? Both of us. We have always been bikers and have crossed Europe far and wide many times. The only boring moments were the motorway transfers going south. 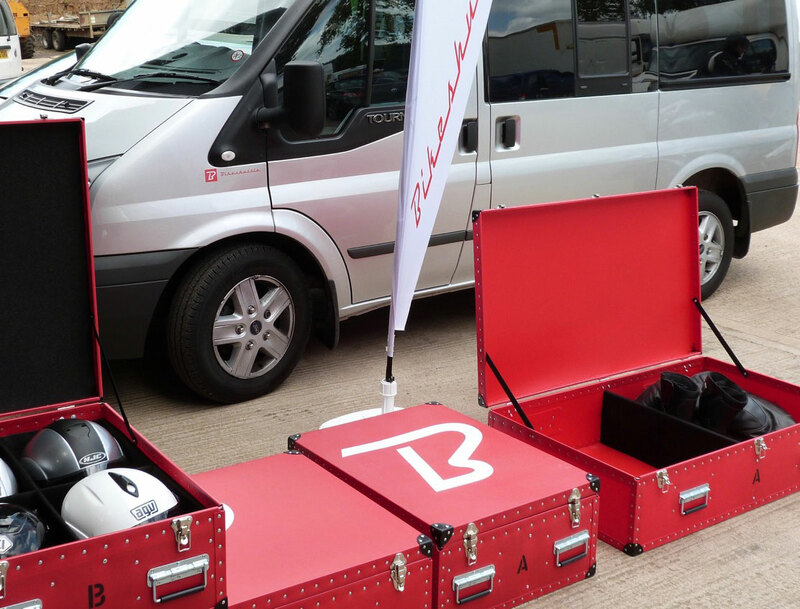 During one of these trips, destination Mugello, in Italy, to follow the MotoGP,we got the idea of partnering up to create a “motorbike transport” service which would allow people to enjoy the trip without having to do thousands of kilometres along uninteresting motorways. After trying with trains, with a test from Paris to the South of France, we opted for a form of transport which depended solely on us, without any delays or other problems. Both Guy and I have good logistics skills so we bought a couple of double-decker trucks to transport motorbikes and maxi scooters between the United Kingdom and Geneva, allowing bikers to eliminate the long transfers through France and especially to save time, gaining between 2 and 3 days of holiday. The transportation cost, considering toll fees, petrol, tyre wear, lodging, the ferry, etc. becomes affordable. Were does a Bikeshuttle’s journey start and finish? 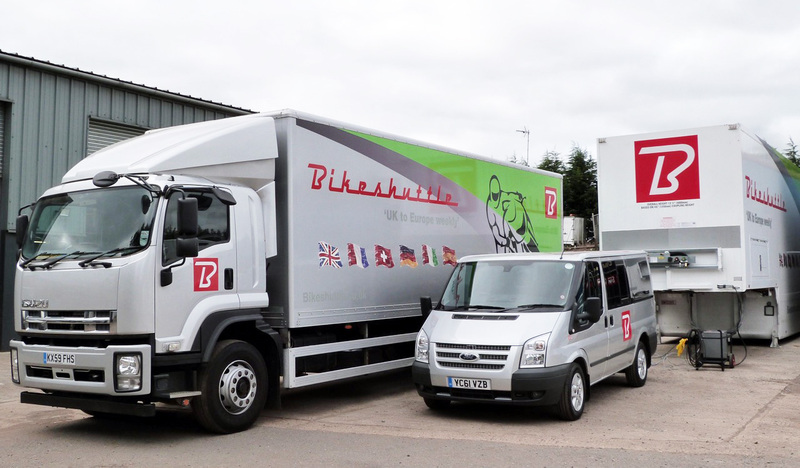 The Bikeshuttle service operates each week between the United Kingdom and Switzerland, where we have a base in Geneva, and it’s the only motorbike transport service operating in Central Europe. 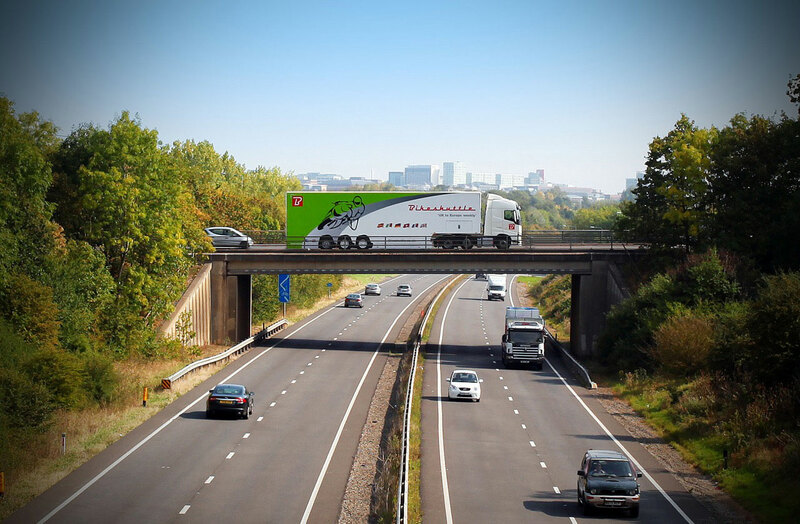 Our truck leaves Northampton in central England and reaches Thoiry’s Business Park Hotel, on the French side of Geneva. The choice of the destination point is strategic, as it allows English bikers to visit the Alps, Italy, Germany, the South of France and other destinations on the Mediterranean from a privileged starting point. In the same way riders of these countries, including Italians, interested in England, Scotland, Ireland, the Isle of Man TT… can consider arriving easily in UK territory. You just need to fly to Luton and collect your bike in Northampton. On average you would save 1,500 miles. By the way the Silverstone track is 13kms from Bikeshuttle’s English headquarters. Who are your present clients? Most of our requests come from British bikers and regard both one-way transport and round trips for tourism in central Europe. The interest of those who use our service from Geneva to the UK is less but it’s gaining momentum. We trust 2016 will balance things out. A lot of people still do not know us. Bikshuttle is a young company. Which goals have you set yourselves for the next two years? The primary objective is to cover bookings over a longer period in the year. 2015 went very well and already now there are a lot of bookings for the summer months. We aim to make ourselves known by the public in the central-south European Countries. Looking further afield, we are considering the idea of opening a new line linking the United Kingdom with Munich. Does anybody speak Italian at Bikeshuttle? At present no, but we are able to communicate via email by having the texts translated for us. Besides, the English we use is really easy and up to now we have never had any problems linked to not understanding each other. Usually those who travel by bike in other countries have a sufficient mastery of the English language. Another question: with what frequency do you cross Europe loaded with bikes? The Bikeshuttle service works every week, for now between 10 May and 28 September 2016. To travel to the UK you need to arrive in Geneva on a Wednesday afternoon. Here we load bikes, helmets, clothing, suitcases, etc. on our truck. 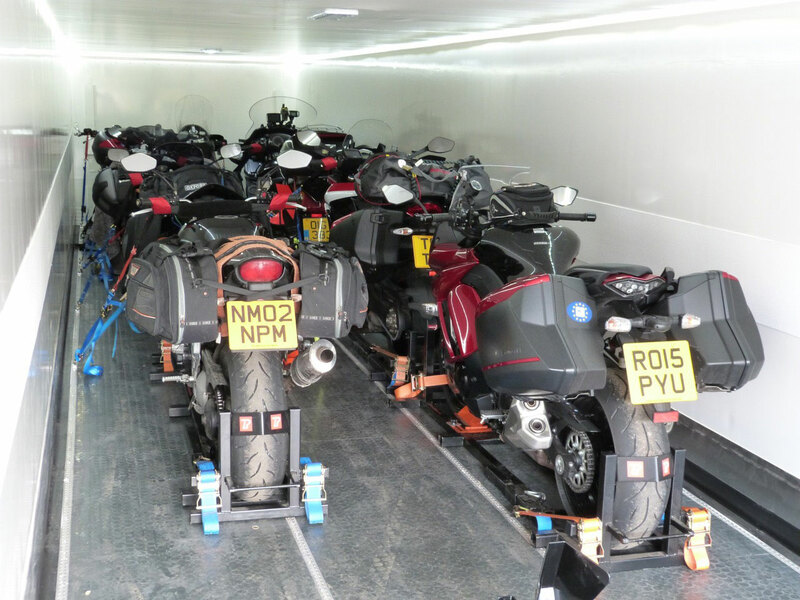 At that point the bikers can stay in a hotel, to be then transported to the airport the following morning to fly to Luton, where they will be picked up and taken to our warehouse in Northamptonshire where their bikes will be there waiting for them. At the end of the holiday, the vehicle leaves our Bikeshuttle warehouse on a Tuesday morning. From here our staff will take the people to Luton etc. Obviously you can also choose to leave the bike at our warehouses on other days, in the case you choose not to fly.